The Epiphany School holds Student Council elections each year. Students in Grades 7-8 are permitted to run for the office of President, Vice-President and Secretary. 6th Grade students are eligible to run for Vice-President and Secretary. In addition, each homeroom in Grades 4-8 elects two representatives to the student council. The student council meets monthly with Ms. McHugh and Faculty Advisor Ms. Katy Venizelos to discuss various issues and concerns raised by the students. Class representatives attend the regularly scheduled Student Council meetings and it is their job to keep their classmates informed of any new policies or changes, as well as to present their classmates’ concerns and ideas for review. Introducing The Epiphany School 2018/19 Student Council. 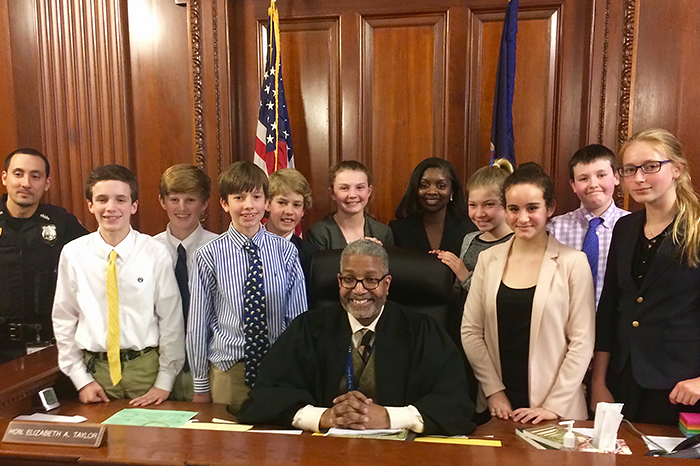 Students in Grades 7 and 8 have the opportunity to learn about our legal system and test out their legal skills by participating in the annual Thurgood Marshall Junior Mock Trial Competition. Students are mentored by volunteer attorneys and take part in preparing and presenting a court case in trial format. Students form both Defense and Prosecution “Teams” and take on the roles of attorney, witness, law enforcement, and defendant. Mock Trial “Teams” litigate their cases against students from other NYC schools in front of a sitting judge in courtrooms at the Bronx Supreme Court. The Epiphany Glee Club meets three times a week during recess. It is open to girls from 6th to 8th Grade and promotes vocal performance in groups as well as solos. The Glee Club works on a variety of projects during the school year including Christmas carols, popular music, and liturgical music. 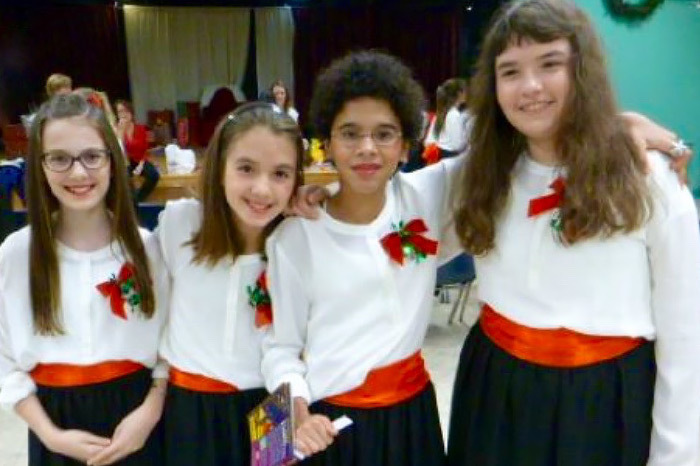 Their repertoire covers music from diverse cultures such as German, Latin, and Spanish songs. Through their training in the Epiphany Glee Club the singers will gain a depth of knowledge about choral performance as well as group work and cooperation. 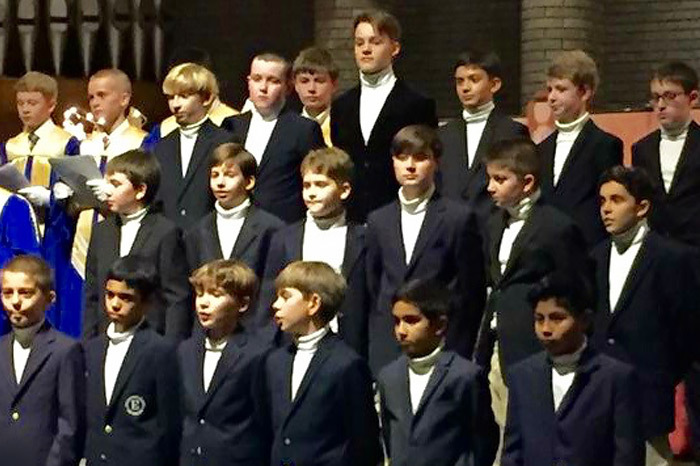 The Epiphany Boys’ Choir forms in the Fall and meets during recess one or two times a week, it is open to boys in the 6th – 8th Grades. The boys gain a knowledge of choral music and group cooperation. Membership in the choir can help foster discipline and high standards, as well as provide the joy of singing. The Boys’ Choir performs at the Annual Christmas Concert held in the Epiphany Church. Altar servers are an integral part of the Epiphany School community. Students in Grades 5-8 are invited to participate as altar servers for weekday and weekend Masses as well as special school Masses. Students are trained by our Pastor, Father Austin and Mr. Torre to serve. 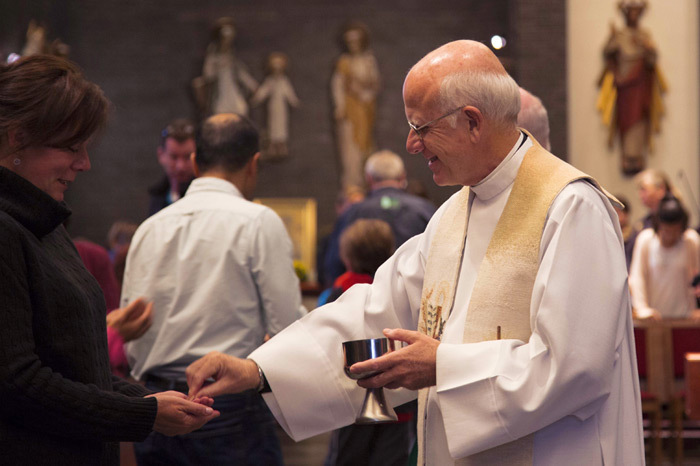 All students are encouraged to contribute their time to this most important part of Catholic life.